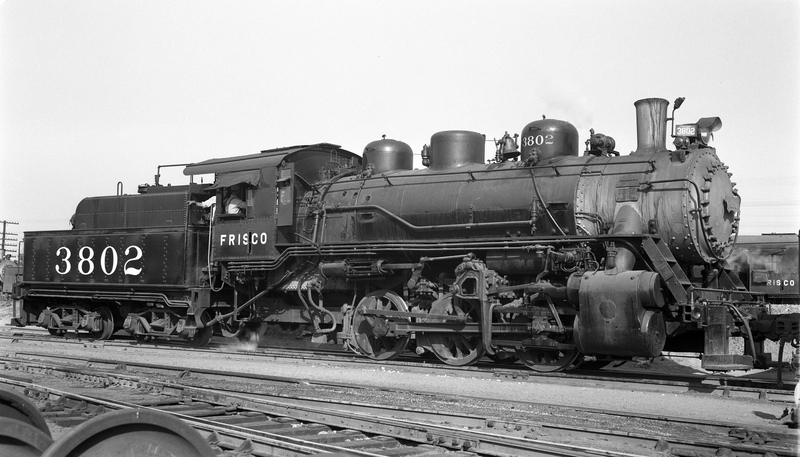 0-6-0 3802 at Tulsa, Oklahoma on September 24, 1948 (R.H. Kennedy). 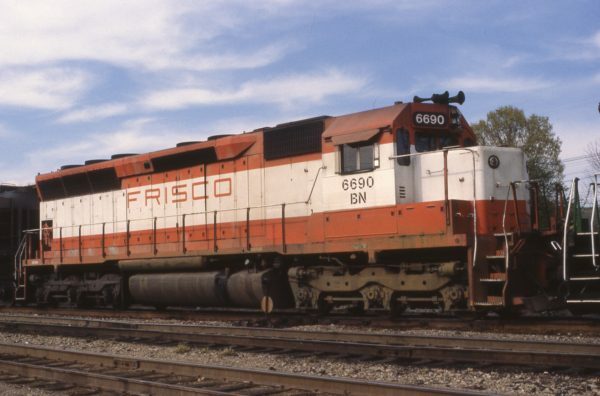 SD45 6690 (Frisco 942) at Amory, Mississippi in April 1981. 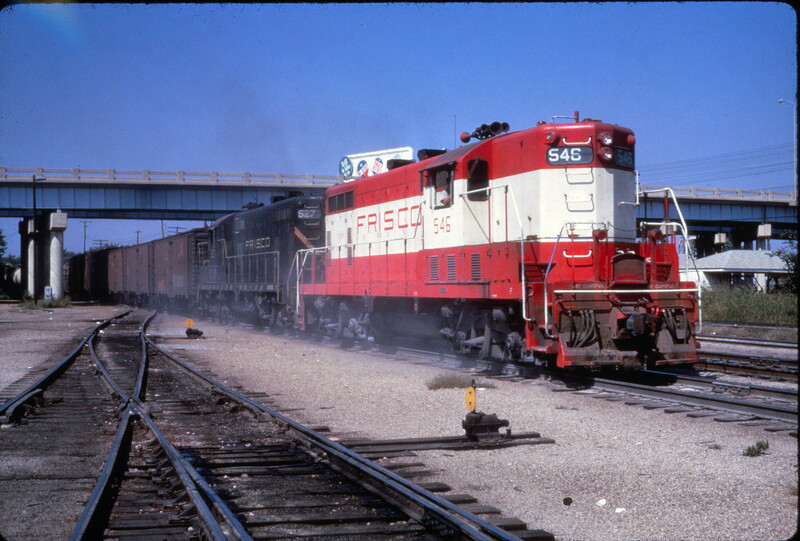 GP7s 546 and 527 on a freight at Memphis, Tennessee on September 30, 1968 (Al Chione).